What started on the 15th of 2014, exactly two years ago, is still going strong. In my second year I knit 39 projects and 16770 meters which is slightly less than I knit in my first year. 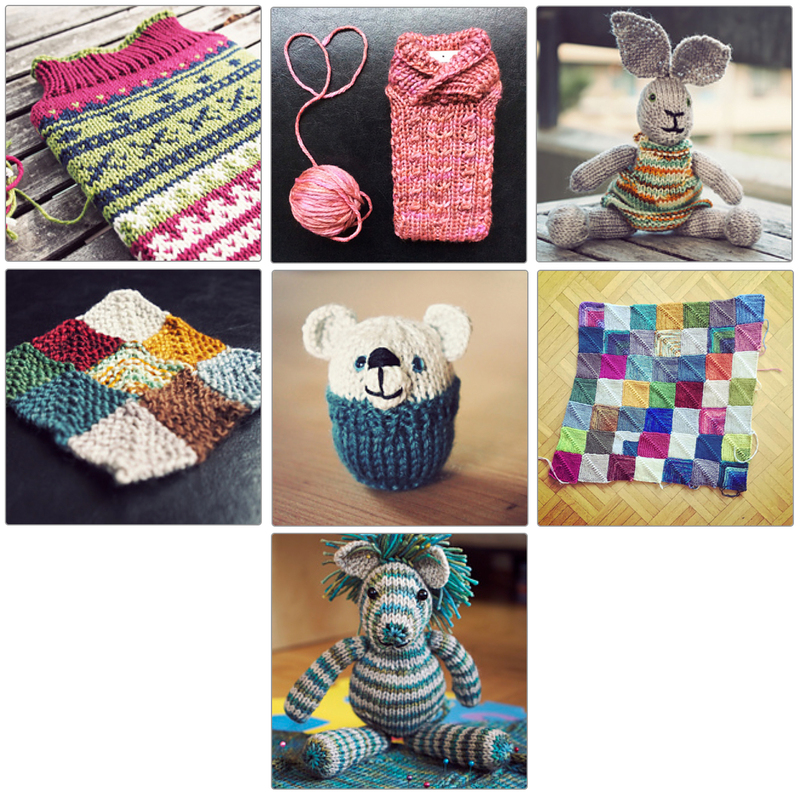 I was surprised by what I actually knit during the last twelve months, there were less hats and mittens than I expected and my favourite projects seem to be tops these days. 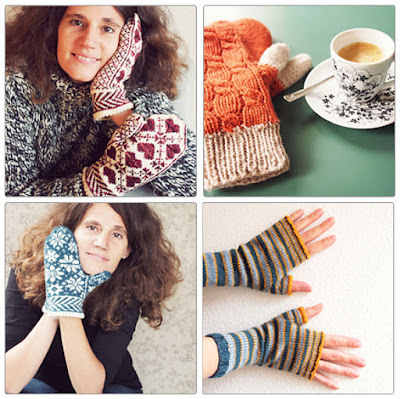 I am really happy that I got to knit a lot of these projects on holidays or simply somewhere nice outside which always seems to be a bit more exciting, somehow the surroundings end up in the fabric and it stays with me whenever I wear it. I knit in Tschiertschen, on the river, on the lake, on Vancouver Island, on the ferry, in Vancouver, back in Tschiertschen, in Brighton and on the Hasliberg. During my second year I got more confident in my knitting. Quite often I adapted a pattern or combined more than one pattern to get just the result I wanted. I think I prefer slightly more complex patterns, I especially love fair isle and cables. I love to learn new stuff and am always proud when I master something for the first time (in 2016 I already learnt the Turkish Cast On, I steeked and I did an afterthought heel just today). I am slightly scared that I might run out of ideas soon, somehow I think I've already done so much that I don't really need anything new. But I don't want to stop, so I will have to find a way to knit new things that are still useful. Five of my tops were gifts for newborn babies. I really love to knit something to welcome a new person and they are all done fairly fast because little people don't need big clothes yet. My favourites are the R&R Hoodie and the Anders which I would love to knit again, they both have so many adorable details. I also knit sweaters for my whole family. Yannick doesn't really wear his Atlas (I should have knit it bigger) but Antonia and Andreas both wear theirs quite often. I love all the long sleeved ones I knit for myself. The Hitofude is great when it's quite warm, it goes together with a simple t-shirt or a dress and always get a lot of attention. 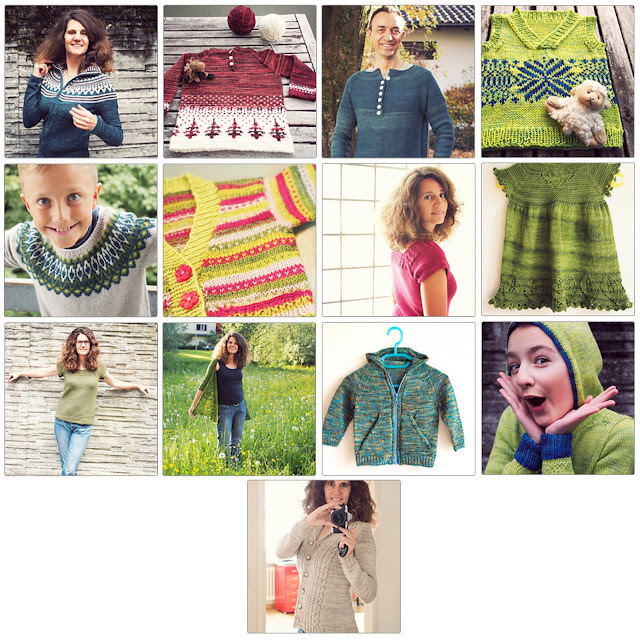 I am really happy with how my last big project Ravine is the New Oranje turned out and I would love to use TFA yarns again (I used it for the I Heart Cardigan and for the R&R Hoodie as well). The only things I rarely wear are my tees. Somehow I don't like to wear them that much, I always think I should wash them as often as my T-shirts and that's just too much work. 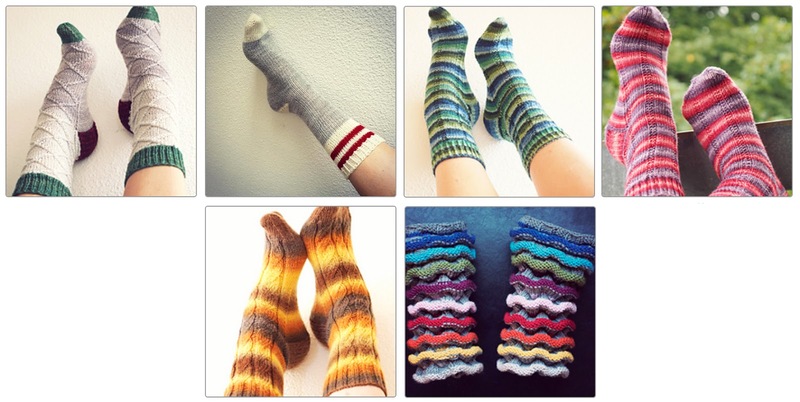 I knit quite a few pairs of socks, especially recently and I've been wearing a pair of them almost daily. I love the Vanilla Latte Pattern which I first used for the yarn I bought in Vancouver which is also my favourite pair. I am still not quite sure what the perfect stitch count for my feet is but I am getting closer with each pair. The leg warmers are really quite ugly but they were fun to use up a lot of leftovers. I was convinced that I'd totally overdone it with new hats during the last year and was quite surprised when I realised that I'd only knit a meager three hats for myself. Hats are the garments I wear daily as long as it's not too warm to do so. 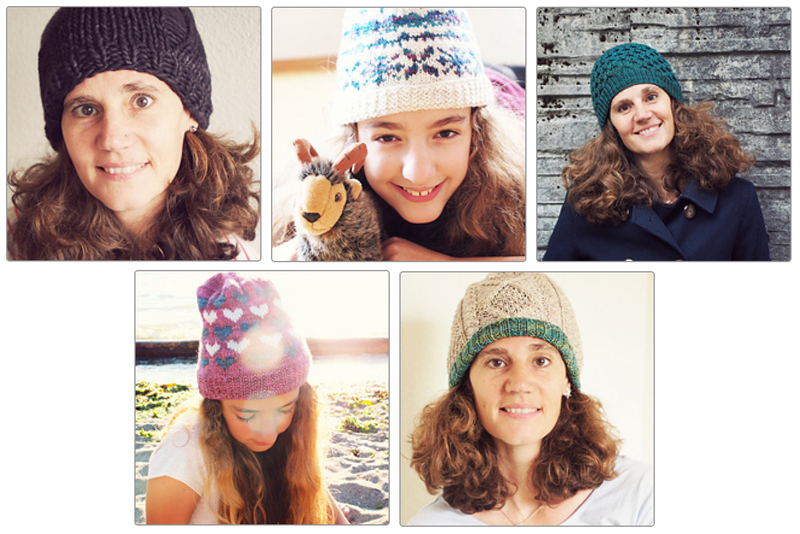 I guess I can knit a new hat without having to feel wasteful pretty soon ;-). I also knit three hats for other people: one for my mother-in-law, one for Antonia and a miniversion of the Stovetop for Dan. I didn't knit a lot of mittens this year either. But I love my Heart Mitts, I wear them almost every day and I am so proud of how they turned out. I think my next project might be some new fingerless mittens again. 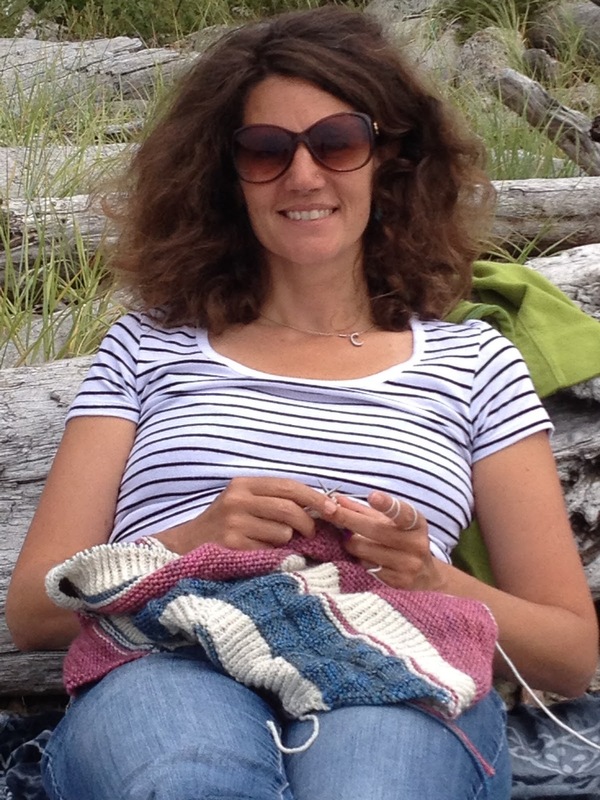 I don't wear shawls that often, but I like to knit them. They often have really interesting constructions and they can be so variable. In the fall I wore my Bradway shawl a lot but now it's somehow too bulky together with my winter coat and a hat so it is hibernating until the temperatures are ready for t-shirts again which won't be all that long. A few toys which were really fun to do, a mini blanket birthday card and a slowly growing maxi blanket and two covers for my gadgets. I love this section because it's all stash yarn that I used to knit something fun.